Fully Insured to Fishing in waters of California US Coast Guard License. All Fishing Trips and Fishing Tours Include Quality Rods, Reels, Tackle & Bait. Just Bring Your Fishing License & Lunch. Fishing Instructions Included (When Needed). 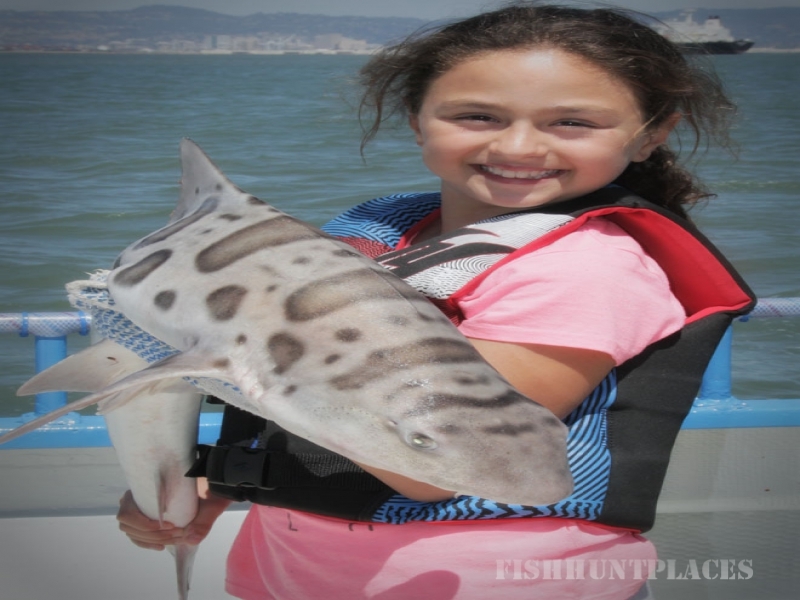 Great for Beginners just starting to Fish in the San Francisco Bay Area. 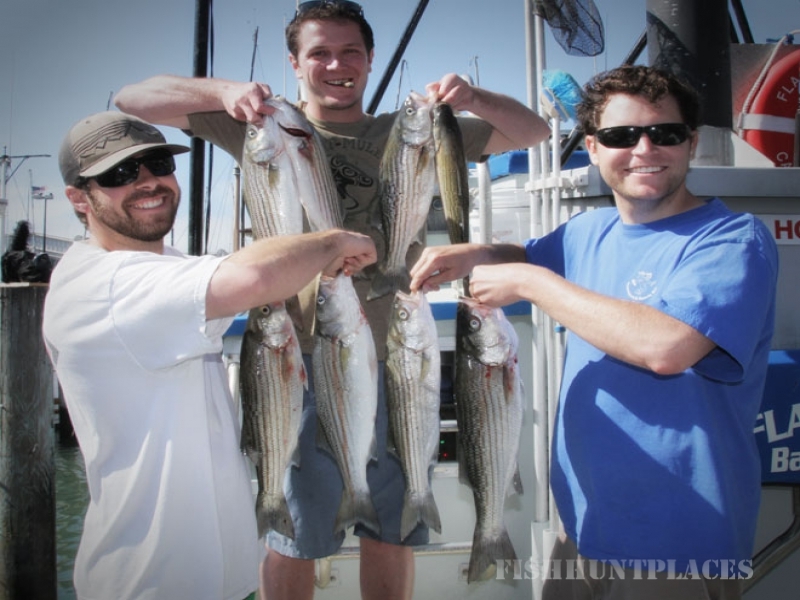 All deep sea fishing charters and trips include everything needed EXCEPT your fishing license and your meals. Complimentary snacks and beverages are available. Hand built custom rods by Vic’s Custom Rods are set up by Capt. Steve prior to each trip for the type of fishing booked. Capt. Steve uses Avet fishing reels on the custom rods. There are also rods & reels available for lefties! And, of course your own equipment is always welcome. Ask Capt. Steve any questions about how to best set up your rod & reel prior to your trip. Two speed reels are available for children (or anyone else who wants to use one). Deck chairs and cushions are available. 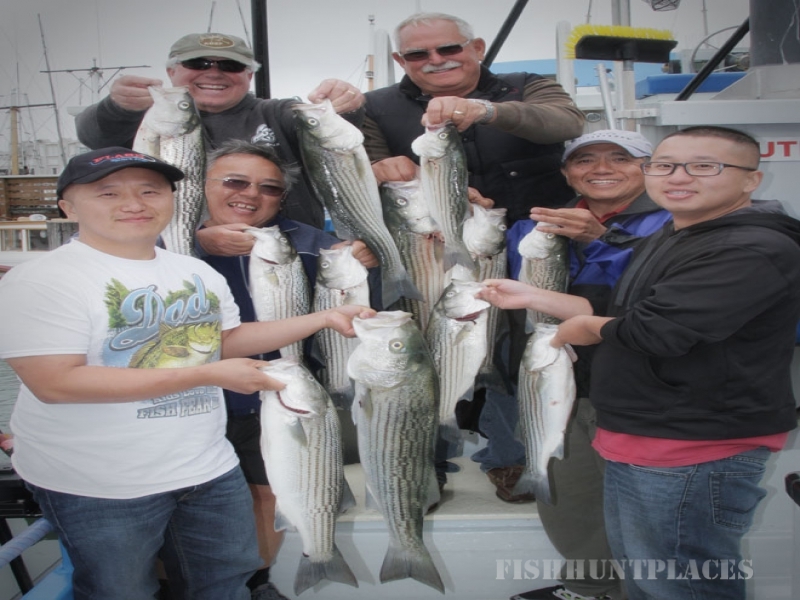 All San Francisco bay area fishing trips include Capt. Steve’s personal service. He will assist with everything, even casting if needed. However, you should fight and land your own Bay area fish. Capt. Steve will clean and filet your fish before you leave. Bring your camera; the Capt. is also a photographer and always willing to take pictures of you and your bay area catch with San Francisco in the background! Capt. Steve also conducts fishing seminars, so feel free to ask questions at any time. Onboard seminars can also be arranged. 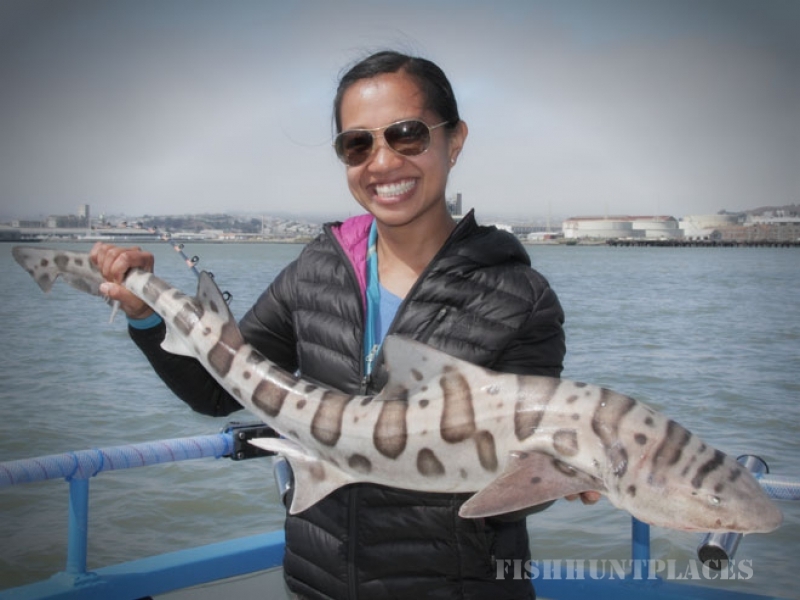 San Francisco area has many species of fish to target. We have Halibut, Bass, many types of Sharks, Great White Sturgeon, White Sea Bass and King Salmon. 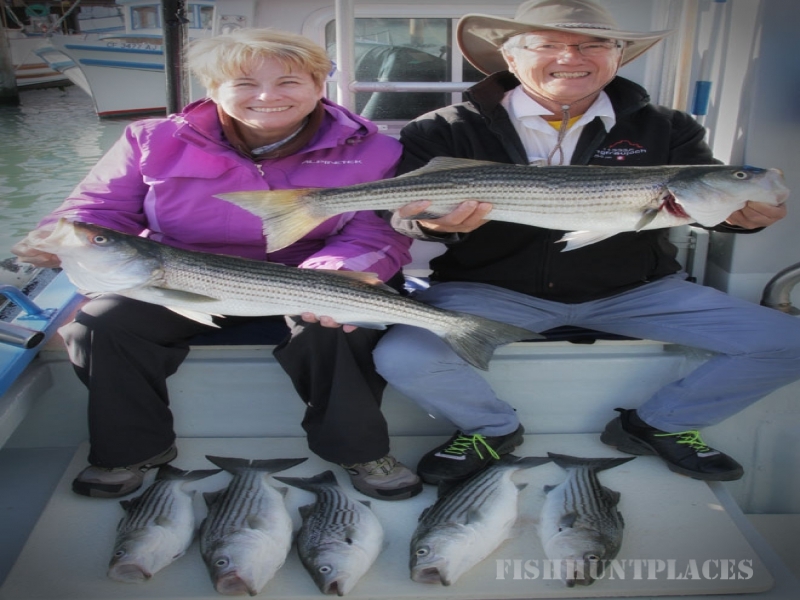 If you click on the Gallery page, you will see photos from prior trips of different types of fish caught.